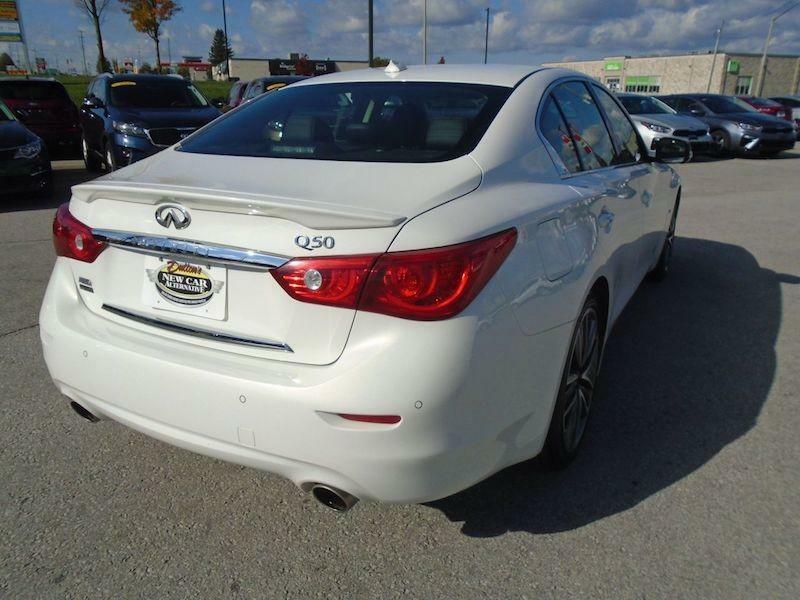 This 2015 INFINITI Q50 is for sale today in Owen Sound. 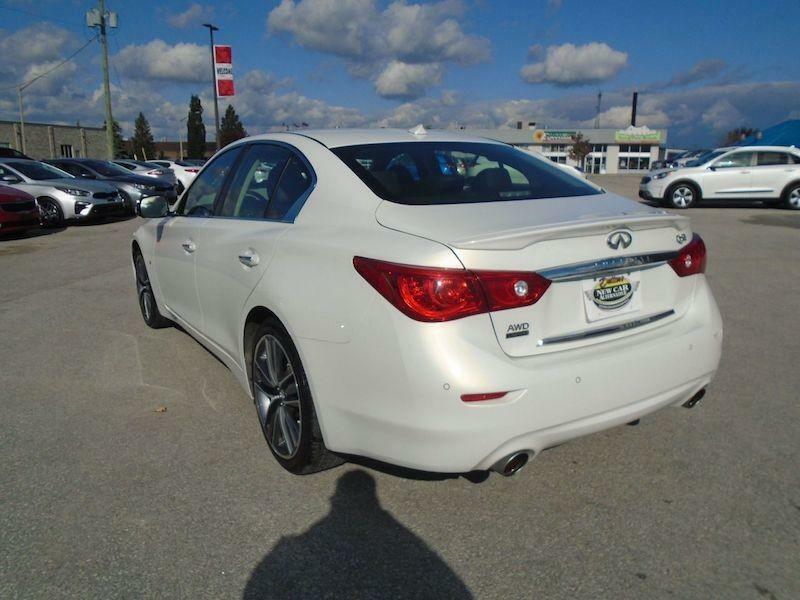 Make a powerful statement with this beautiful Infiniti Q50. Its head-turning design is backed up by impressive performance from the responsive engine to the competent handling. Inside, youll be welcomed with premium materials and modern technology. 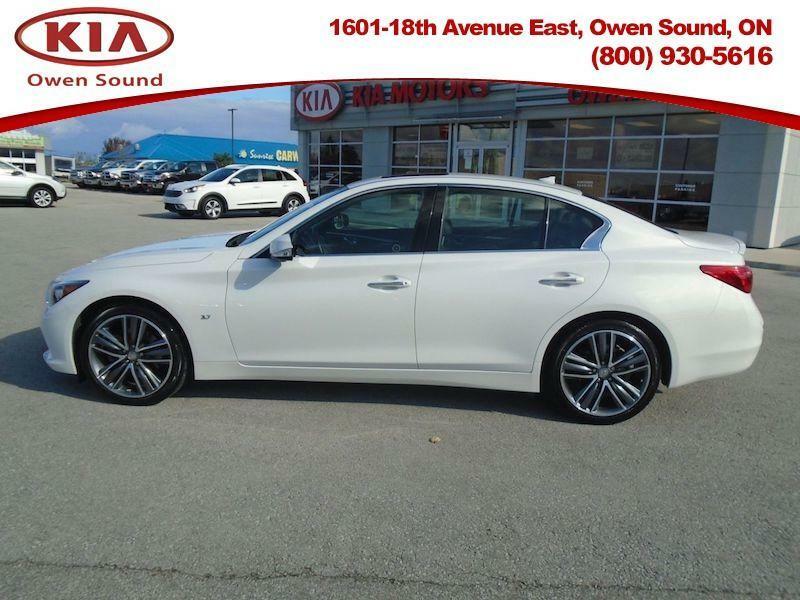 If you want a luxury sedan that wont blend in with the mundane, this exciting, yet dignified Infiniti Q50 is a top choice. This sedan has 41753 kms. It's white in colour. It has a 7 speed auto transmission and is powered by a 328HP 3.7L V6 Cylinder Engine. It has some remaining factory warranty for added peace of mind. Our Q50's trim level is Sport. The Q50 Sport received a straight A rating for its athleticism as well as for its great manners in daily driving. It comes equipped with a host of high-tech features such as navigation system, an Infiniti Studio on Wheels Bose Premium audio and 14 speakers, 12-way driver and 10-way passenger seats, and a sport heated leather steering wheel. Great Price- $3986 BELOW avg.